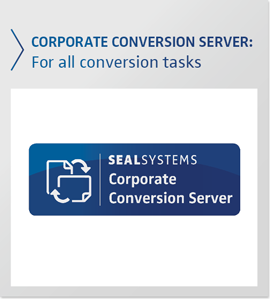 Many businesses are now using more than one conversion server from SEAL Systems. Large and business-critical performance, for example, requires load sharing over several conversion servers. In this case we recommend the job assignment via web service and the integration of a third-party load balancer. We’ll be happy to show you how this works. No matter where the job is ultimately done, Support doesn’t want to have to search several servers when an error is reported. Our new Multitracker is the answer. Web services are popular as universal interfaces. Nearly every new customer integration of our Corporate Conversion Server is carried out via web service. We have done quite a bit of work here, creating additional web services for existing conversion workflows and improving existing web services. You can now also send an email to Corporate Conversion Server, containing the file to be converted and the job parameters. Corporate Conversion Server sends you a mail back with the resulting file. Think monitored directories are yesterday’s news? In some IT environments they’re still the method of choice. We’ve also added some new features to our directory monitoring. We have standardized the asynchronous job processing for interaction with Corporate Output Management. PLOSSYS netdome can meanwhile continue with its other tasks. Your DMS would like to be informed when the conversion job is finished, and not waste resources with continued inquiries? For this we have defined a call-up interface. If you give us a corresponding web service for your administration system, then we’ll report in when your job is ready (Callback). The natural script language for our DPF is Perl. We’ve taken large steps toward Java. The new Java Working Unit provides a Java runtime environment which allows your Java application to run seamlessly in our DPF environment. And, finally, with the new WAIT-Working Unit you can also force a synchronous process with other applications. Installations tend to grow. Numerous customer-specific extensions over the years have made our Corporate Conversion Server your solution. An update of the standard components naturally should retain all customer-specific portions of the installation. We have improved the strict separation of standard installation and customer-specific extension even more. Runtime environments from integral third-party software like Ace, Tao and Qt have been updated. The new version of the Corporate Conversion Server also comes with new licensing. Licenses can be much more exactly generated according to the standard options of DPF. This also makes the installation more transparent for you. But the actual converters have some new features as well. 3-D neutral files from CAD models can be generated with the help of integrated third party converters. Products from Prostep, Theorem and CoreTechnologie can be used. 3-D PDF is now supplemented by BOM information from SAP, so you can easily navigate offline in the parts hierarchy, and the selected part will be displayed optically – including additional data from the SAP that didn’t originally belong to the geometry. A new Office Preprocessor supplies information about the Office file to be processed before it is opened. In order to better improve the operation of DPF in complex IT landscapes, the DPF can now also be monitored via Nagios or SCOM System Monitoring. The labeling of documents with digital signatures creates transparency with regard to integrity and author. This can be performed right in the DPF, after the conversion. Do you have stringent know-how protection requirements, but nevertheless have to send documents to users? The application of document protection through digital rights management before distribution is the remedy. Many of these innovations are available free of charge to our maintenance customers. Contact us—the installation is worth it! You’ll find more information about our Corporate Conversion Server here. Have any questions? 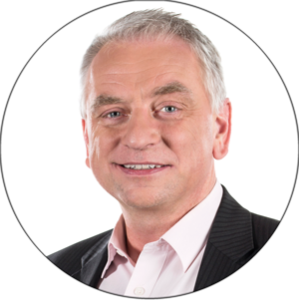 – Contact us now for a non-binding consultation!